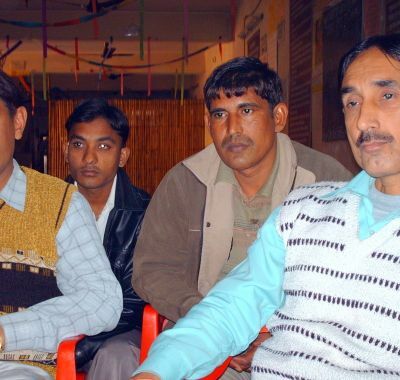 Organizations can be based within communities, but Nada India Foundation ensures that its programs are owned by the communities that they serve. 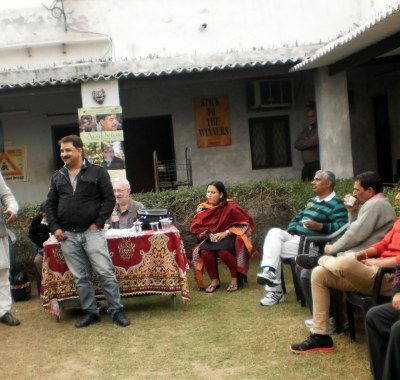 Nada India Foundation relies on communities to set the agenda for programming. This is in essence, looking to women, adolescents & senior citizens as change agents. The adverse physical, mental health, social, environmental and economic consequences of non-communicable diseases (NCDs) affect all, particularly the poor and vulnerable populations. Nada India has been working on prevention of NCDs with a focus on alcohol and tobacco use at primary and secondary levels by using treatment readiness, peer based approach and capacity building of peer led rehabilitation centers. Nada Peer education initiatives and approaches adopted as a model for promoting prevention of NCDs (heart disease, cancer, diabetes, chronic respiratory diseases) and education of risk factors for those considered “hard to reach,” such as young people, women and alcohol users. Nada Peer Education Program aims to meet the need to engage patient before they accept this new identity of “patient” and promote informed choices among people effected and affected by NCD risk factors (tobacco use, unhealthy diet, insufficient physical activity and the harmful use of alcohol &stress). This focus area is in essence about promoting well-being. While there are many systems of medicine and health care, at the core of each of them is a common goal to promote health. As we learn more about the connections between the systems in our bodies, health becomes not just a word that describes a physical condition but also a mental, emotional and spiritual one as well. Nada India Foundation draws on the traditions of the many forms of healing in India from allopathic medicine to acupuncture to yoga to homeopathy to assist others on their paths to well-being. Nada India Foundation does not seek out cures or treatments for ailments and disease as much as we look to promote health by helping individuals to find what works for them and where their own strengths lie. Science knows about the correlation of cancer and alcohol use since the 1980s. The International Agency for Research in Cancer (IARC), the WHO’s research body, classifies alcohol as class one carcinogen since 1988. Alcohol can also significantly drain family budgets, since costs for NCD-related health care, medicines, and costs for alcohol diverts the household’s income and resources from ensuring food and nutrition security and from basic education. 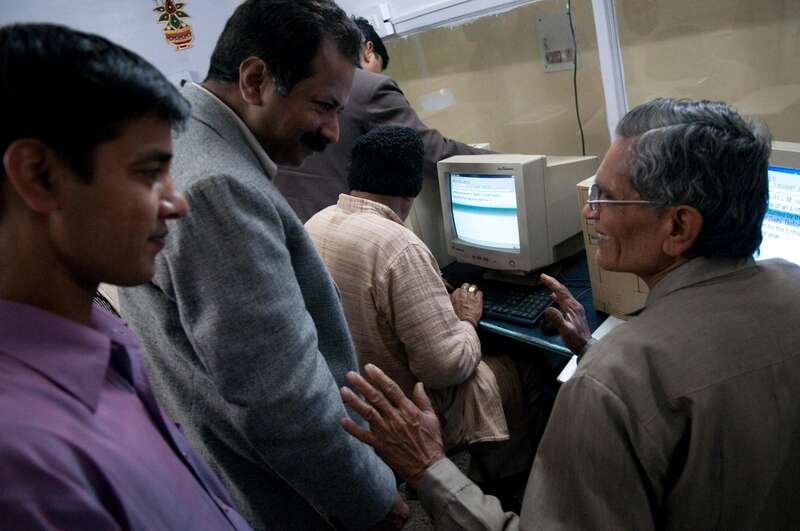 In India, NCDs are estimated to account for 60% of all deaths. India stands to lose $4.58 trillion before 2030 due to NCDs and mental health conditions. Cardiovascular diseases, accounting for $2.17 trillion and mental health conditions ($1.03 trillion), will contribute to major economic losses. This contrasts starkly with the cost of action: $111 billion a year to implement a set of NCD “best buy” interventions in all developing countries. The Healthy India Alliance which Nada India is a part of works with a mission to create an enabling environment for active participation of health and non-health Civil Society Organizations (CSOs) to prevent and control NCDs through effective policies, partnerships and programmes. 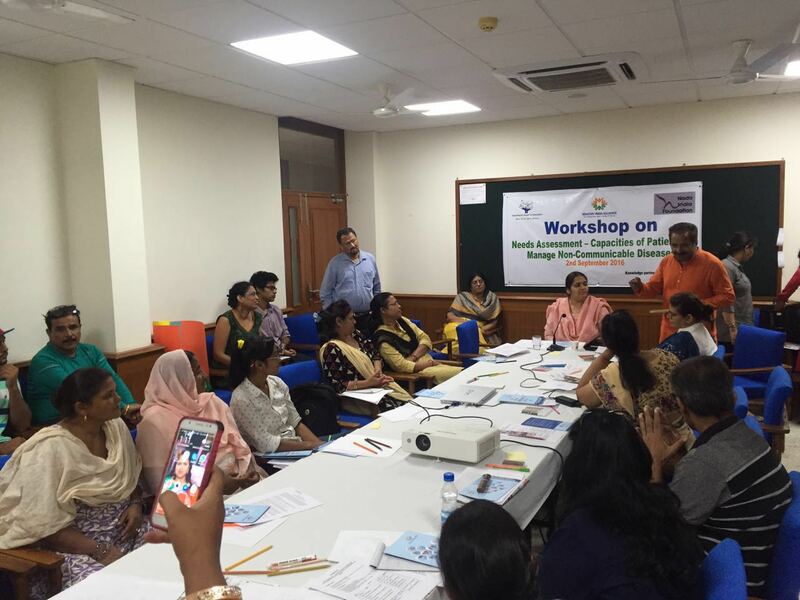 Nada India as a Governing board member of the Healthy India Alliance sees it as an opportunity to build partnerships for strengthening systems related to alcohol prevention, treatment and rehabilitation in India. Need has been identified to overcome the stigma and blame and should be associated with NCDs and its associated risk factors in order to empower and ensure the entitlement of the people effected and affected by NCDs to assert their right to health. It is clear that only a comprehensive drug demand reduction policy will allow India to achieve Goal 3 of the 2030 Agenda. With the accelerating NCDs epidemic, alcohol-fueled violence against women, and children being exposed to grave harms associated with alcohol and other drugs the threats to healthy lives and well-being for all are massive. 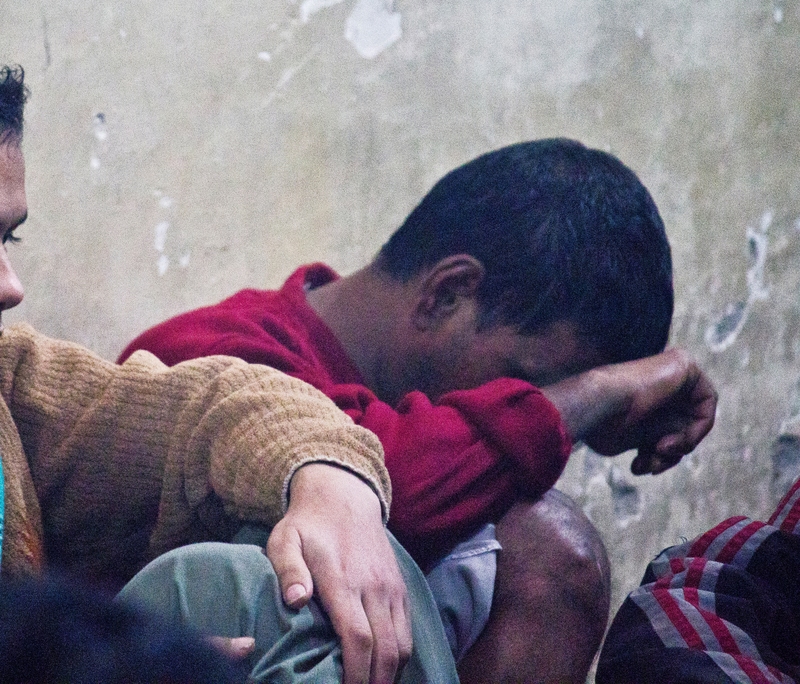 Bordered by two of the world’s largest heroin suppliers and being the world’s largest illicit opiate producer, India is vulnerable to addictive disease. 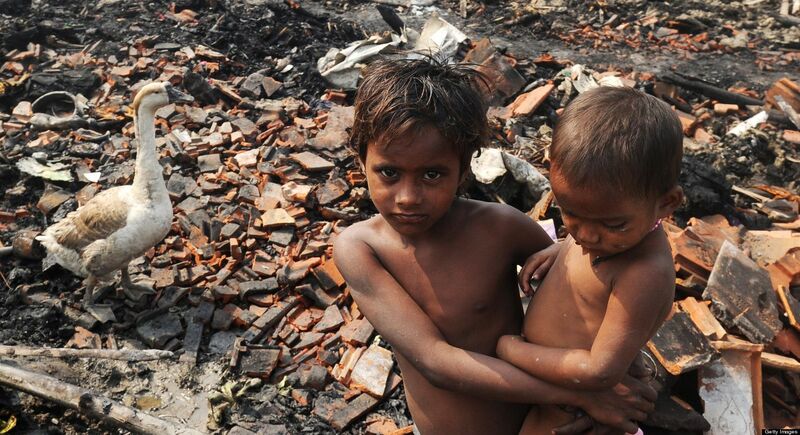 This is compounded by urbanization, widespread poverty, and globalization. Nada India Foundation uses barrier free, innovative methods to treat this age-old social ill and health issue. 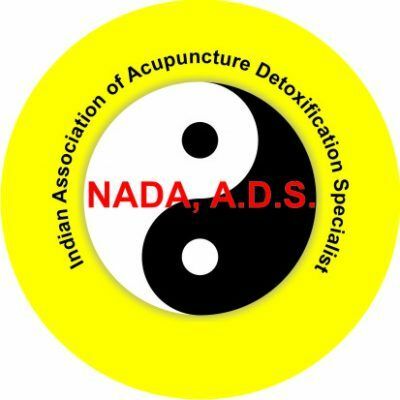 Building upon traditional models of 12 steps and harm reduction, Nada India explores other methods that have been used internationally to help individuals to overcome the dangers of substance use and abuse including peer education based models and NADA auricular acupuncture. Nada India believes that alcohol is an obstacle to development and child right issue. Nada India is committed to raising awareness and protects the interests of children of alcoholics and addicts, women, young people, migrant population and marginalised population so they can find opportunities to thrive in safe and enabling environments free from the harms caused by alcohol and drugs. Youth for well-being is a youth driven initiative of Nada India and IOGT International. This community is a part of Pehchaan awareness campaign for well-being. It aims to contribute in achieving the Goal 3 of Sustainable Development. 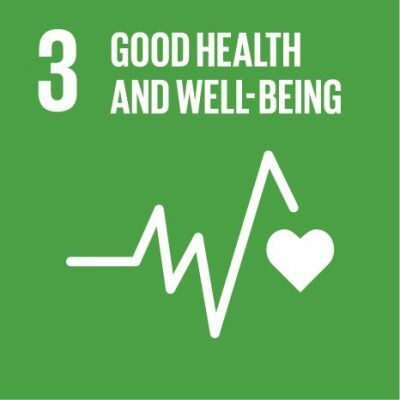 Goal 3 aims at ensuring healthy lives and promoting well-being for all at all ages. We gather consensus in the form of partnership with young people, volunteers from both urban & rural areas. Nada trains young people where young people are at. Later they can join as good health reporters & peer counselors and facilitate the change. Well-being brand ambassadors lead the campaigns across the health and non- health sectors. Good Health advocate is an initiative of Nada India. It features and promotes ordinary people with extraordinary idea and commitment to promote Good Health and Well-being among people of all ages. Saathiya is platform to share hope and voice their concerns related to Good health in a market driven society. Hemant Kumar completed 14 years of recovery from Drugs & alcohol, he has been taking care of patients suffering from co-occurring medical disorders like – Diabetes, Cancer, Alcoholic lever disease and Hyper tension. At any given time Muskan Foundation has 10-15 diabetes, hyper tension and alcoholic lever disease indoor patients. These co-occurring medical conditions make treatment of substance use disorder difficult. Nada India trains and facilitates the team to handle these co-occurring disorders. Nada India believes that prevention of NCDs is all in our attitudes and one needs to change the attitude & belief of people towards NCDs. one’s inner energy) and brings us back into a more balanced state and chance to communicate. As we become calmer inside, we become much more aware of over selves and others. From this quieter, inner place we can then make more careful choices in our reactions to life situations. Read more about AcuDetox here. Strengthen the prevention and treatment of substance abuse, including narcotic drug abuse and harmful use of alcohol. Nada India network, known as the Nada NCD Prevention Network involves membership of grass root organizations working on NCD prevention its risk factors. The Network has initiated and laid out the groundwork for collective patient engagement and advocacy on NCD related action and building capacity to effectively advocate prioritizing patient engagement and empowerment as social entrepreneur. Need has been identified to overcome the stigma and blame associated with NCDs and its related risk factors in order to empower and ensure the entitlement of the people effected and affected by NCDs to assert their right to Good health. Nada India seeks to expand and strengthen activities of the network members adopted as a model for promoting prevention of NCDs and education of risk factors for those considered “hard to reach,” such as young people, women and alcohol users. Nada India has a network of peer led drug rehabilitation centers, recovering peer educators and caregivers are members of Nada ARPAN project. Nada India's journey with Yuva Bharat began three years ago in the year 2015 when our young volunteer Vindhya was elected as the President of Yuva Bharat. 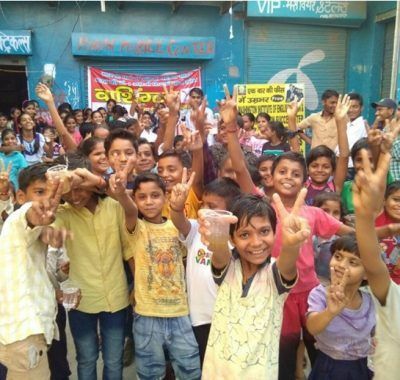 Yuva Bharat was formed with a vision of having a meaningful involvement of youth in the advocacy of health agenda in India with a major focus on alcohol and drug use and NCDs. 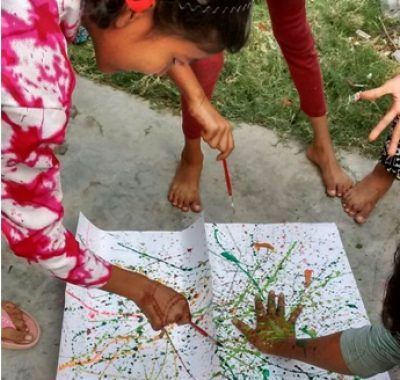 Nada India believes that meaningful youth participation involves recognizing and nurturing the strengths, interests, and abilities of young people through real opportunities for youth to become involved.Successful youth participation involves shared decision-making and collaboration with adults who can serve as mentors for youth. With that in mind all the board members were young people along with an advisory group of people having experience in the field of alcohol and drug use. 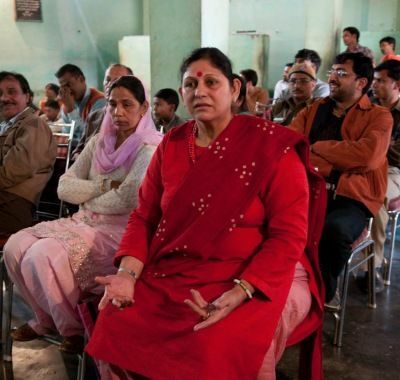 Prior to Yuva Bharat, she had been a volunteer with several grassroots level NGOs since the age of 14 years. Having an experience of closely working at the community level helped her in forming a path for Yuva Bharat. Yuva Bharat came with an added advantage of people from different states and backgrounds which diversified the approach. Her first experience with Yuva Bharat was at Koraput Orisa where they were able to hear from people from the community itself and found solutions in a collective manner. 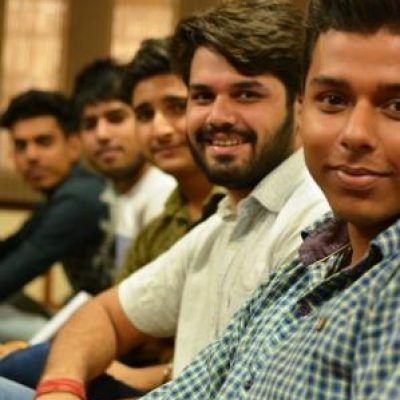 Yuva Bharat’s approach to involve young people is its biggest advantage but at the same time she would like to reinforce that Yuva Bharat still have a long way to go and might need to carve a road for the meaningful involvement of young people. In the course of three years Nada India volunteers were able to represent Yuva Bharat at IOGT congress in Sri Lanka and NCD alliance’s conference and Youth workshops in Sharjah. 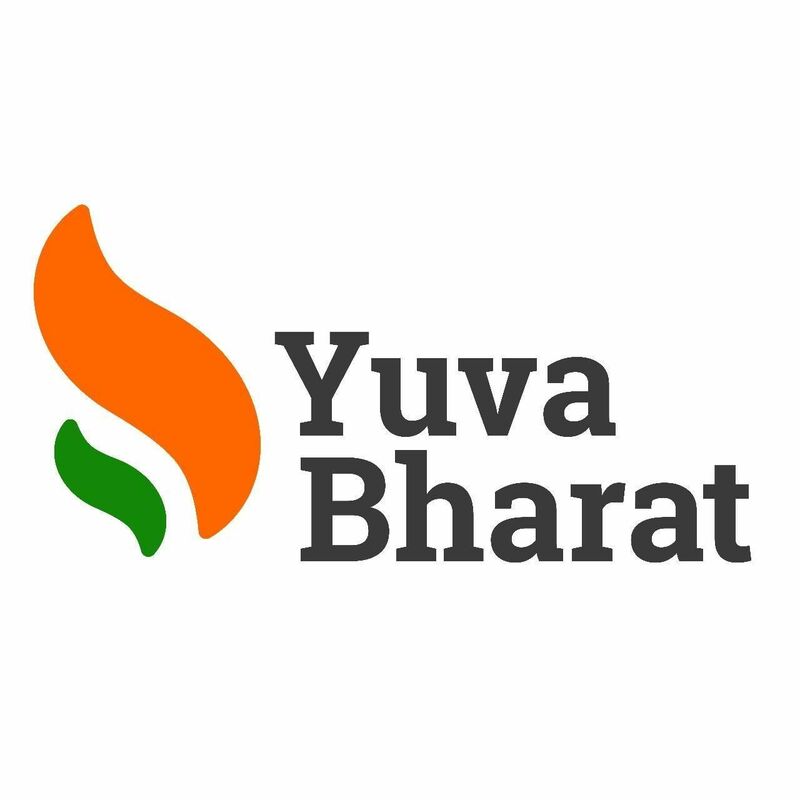 Time and again there were attempts to collect insights on strategies from all the participating organizations at Yuva Bharat which were unfortunately declined due to various reasons. Though, Nada India's young leadership sincerely hope that Yuva Bharat now moves towards a more participatory approach and lets everyone feel involved. The first and foremost need for Yuva Bharat would be to raise funds and make it more sustainable. The TOTs have been extremely helpful and we are sure that organizations must have used the strategies in their respective communities. Though, we might need to highlight and represent the impact in a more meaningful manner. Nada India has been a part of all the major breakthroughs starting from ideation, monthly brainstorming sessions and two of the major TOTs in Koraput and Delhi. Nada India holds the right experience and exposure in the field of alcohol and drug use and thus, we hope that Nada India continue its association with Yuva Bharat. Three years have also brought in youth volunteer Vindhya's selection as the health advocate with NCD alliance and a change maker with change.org. Nada India's youth leadership continue to volunteer with Yuva Bharat. Nada India look forward to a more meaningful involvement of youth in decision making at all levels in Yuva Bharat. 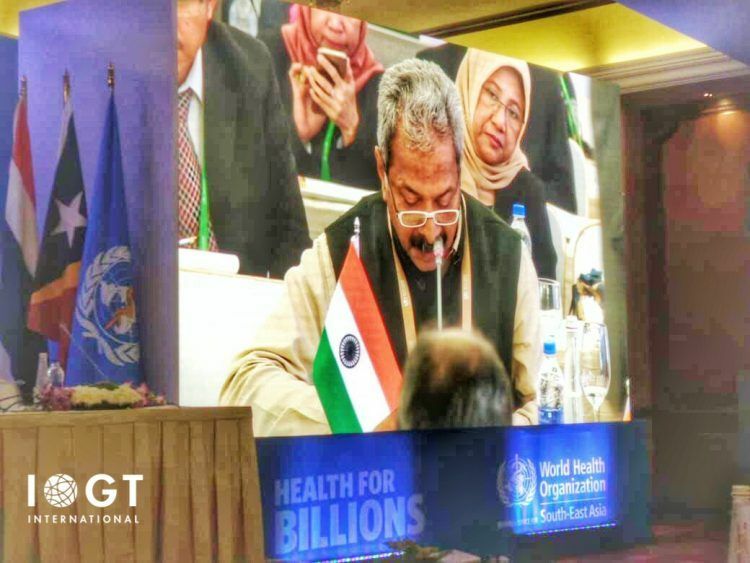 Nada India has been an institutional member of IOGT International since 2005 has been promoting involvement of young people for NCD Free healthy life. 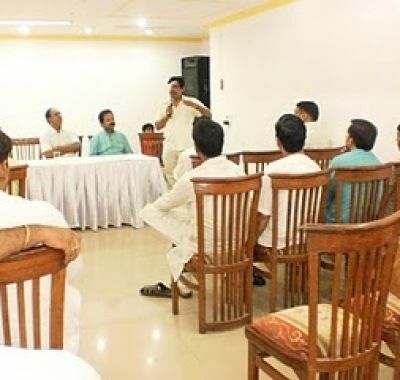 Nada India has been a founding member of ITYF Indian Temperance Youth Federation and was elected as being ITYF board during General Assembly held on 7th February, 2009 at Bhubaneshwar, Odisha. The need for the National Youth Platform of the NGOs working for temperance was always been felt for collective action. Temperance Movement Organisations of India with the member organizations of IOGT – International in India appealed other community based organizations to join their hands for a National Youth Platform by involving the adolescents and youth. Finally, “Indian Temperance Youth Foundation (ITYF)”was formed in the General Assembly held on 7th February 2009 at Bhubaneshwar, Orissa, India and subsequently its transformed into YUVA BHARAT with Youth Board formalized in resolution from General Assembly held on January 24, 2016 at Koraput, Odissha, India. The meaningful involvement of people living with NCDs has been conspicuously absent from the NCD response to date. Changing this situation stands to make NCD eﬀorts more urgent, more accountable, and more robust and eﬀective. Meaningful involvement in programme development, implementation, and policy-making, not only serves to empower individuals, but also improves the relevance, acceptability, and eﬀectiveness of programmes and services for the people they serve. At a community level, networks, platforms, and public visibility for people living with NCDs will contribute to addressing misconceptions and fears while breaking down stigma and discrimination. People passionately want to become meaningfully involved in the NCD response by taking part in aﬀecting change. TBNL leadership was also a part of and participated in the workshop on need assessment: capacities of patients to manage chronic diseases (NCD) engaged & empowered groups affected by NCDs, high risk populations, patients with NCDs and their care givers to lead advocacy campaigns – at community and college level by Nada India & Dakshayani. Purpose : Stress, tobacco, alcohol, HIV/AIDS, violence, unsafe and unhygienic practices all lead to health related problems for the worker and lower productivity for the enterprise. Taken together they represent a major cause of accidents, fatal injuries, diseases, absenteeism and deterioration in performance in school or work situation. These problems are different from traditional hazards and require unique strategies like behavior change communication at individual and group level. Addressing alcohol use as a risk factor does enhance the results of both new and already existing HIV/AIDS programmes. Evidence shows close links between alcohol use and contraction of HIV/AIDS and between heavy alcohol use and detrimental effects on the immune system. The evidence supports a causal connection between alcohol use and adherence to ART treatment. A focus on alcohol use is warranted in efforts to prevent the further spread of the HIV/AIDS pandemic .The Nada India Foundation aims to reduce the spread of HIV/AIDS as well as care for those who have been infected by literally meeting people where they are at. 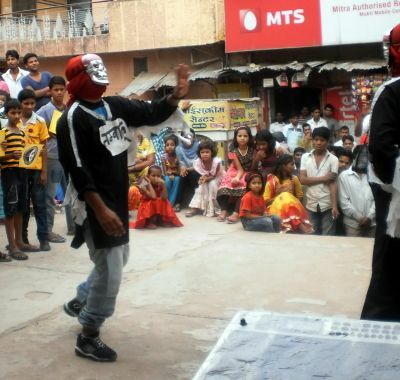 Through outreach work, peer education, street theatre, radio programming, and speaker’s bureaus, Nada India reaches people in their own familiar environments e.g. workplaces, homes, local hangouts. Instead of approaching people with the sole intention of promoting HIV prevention messages, Nada India engages people in everyday conversations and makes HIV/AIDS and related issues a part of the dialogue. Our policy positions are conveyed by our official statements, and contributions to social policy ,consultation processes, regional and national levels. World Congress Declaration Sigtuna, Sweden, August 10, 2018: The Nada India joined as Delegate of the 69th IOGT International World Congress “Future Made Here” call for the adoption of a Framework Convention on Alcohol Control and for governments to make alcohol policy solutions the priority they should be in order to achieve development for all. Consultation Contributions 2018: Consultation contributions May 16, 2018 IOGT International submission to the WHO Independent High-level Commission hosted web-based consultation (May 10-16, 2018) on a preliminary draft report dated 1 May 2018. Nada India member of IOGT International @NadaPehchaan Alcohol-related harm should be urgently addressed from a child rights perspective. 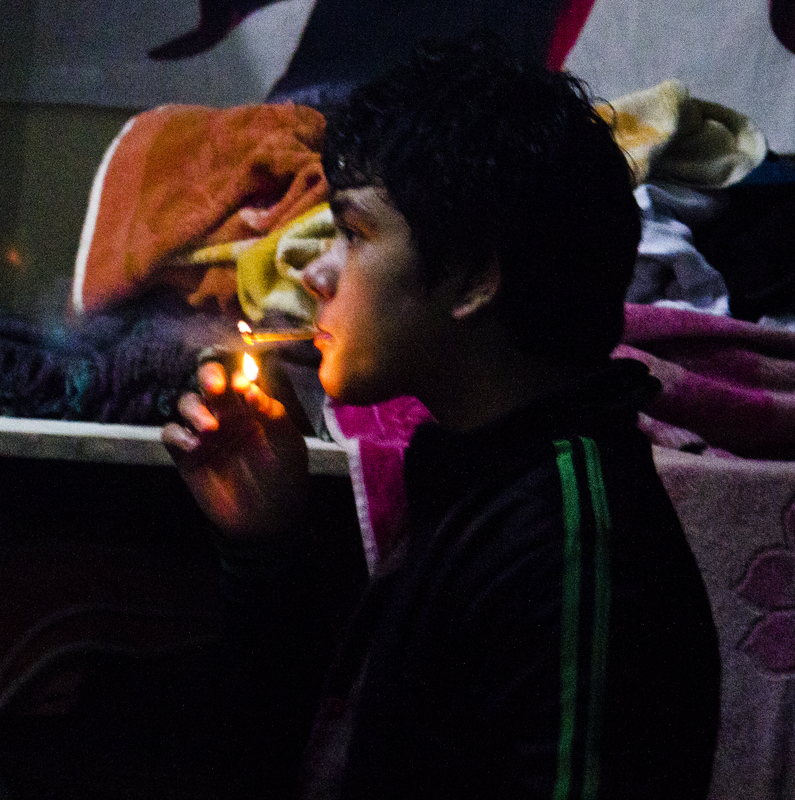 To achieve an #NCDFree healthier society, harmful substances must become much less available – socially & physically.